So I finally baked. I missed baking a lot in Brazil! 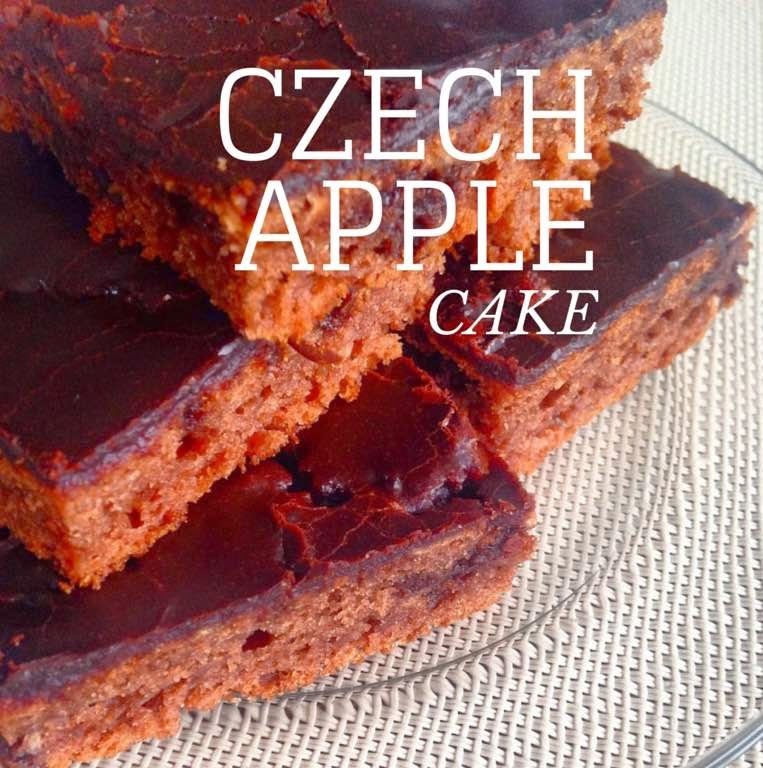 And because I search for typical Czech food, I baked this traditional apple cake from my mum´s recipe book. The advantage is that it is fast and usually you have all ingredients at home. In addition, apples are again everywhere so you are free to use them. For the dough, mix all the ingredients gradually and finally stir in grated apples. Bake at 150 degrees for about 45 minutes. Frosting - all the ingredients put into a saucepan and wait until it is a smooth cream. Still warm, pour the frosting on the dough. Let it cool down.